(1999/ROLLERCOASTER) 30 tracks 1956-80, digipac with 16 page booklet. Sechs extra Titel und besserer Sound als die amerikanische Pressung ! European Release-Digipac. 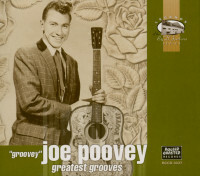 The only sad part about this album is that Joe Poovey died just a few hours after approving the booklet notes and photographs that are included with this collection. 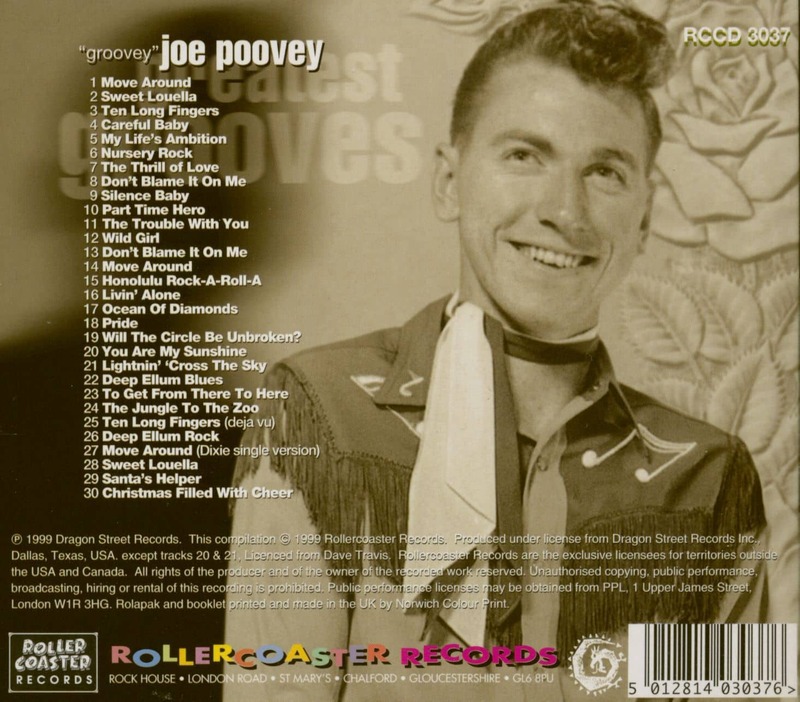 The album itself is a real treat - a glorious and uplifting compilation of the best (and rockinest) of Joe Poovey. 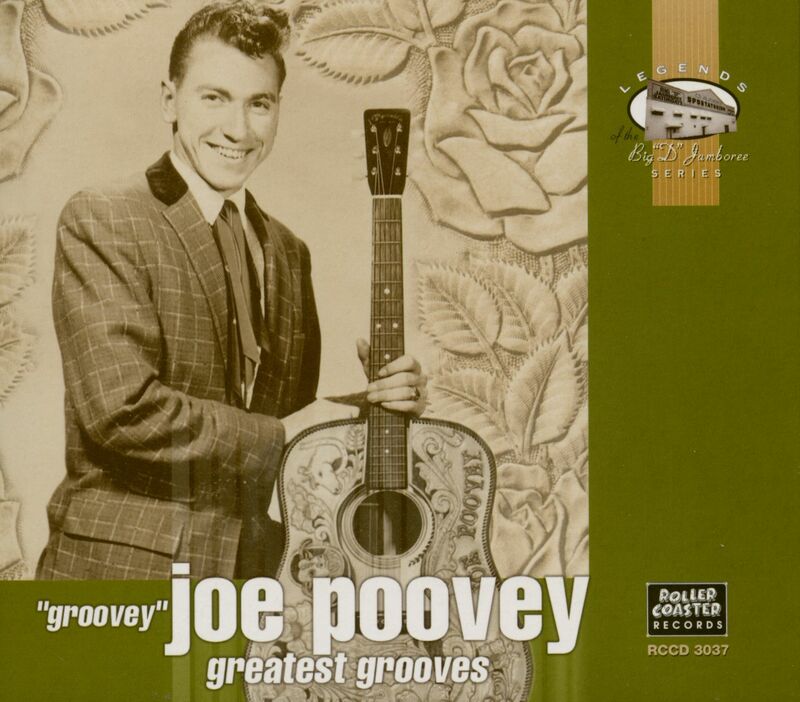 All his originals are here together with some fine unissued tracks and long-forgotten gems, including his very earliest recordings, dating from 1954. Kundenbewertungen für "Greatest Grooves (CD)"